Jill DeWit: And I’m Jill DeWit, podcasting from gorgeous southern California. Steven Butala: Today, Jill and I talk about 2019 planning during this holiday season downturn. This is one of my favorite times of the year when it comes to business. Steven Butala: I love the planning part. Steven Butala: I love to take a look at what happened the year before and translating to what’s gonna happen next year, you know, adding an uptick and all lines of business. Maybe removing some lines of business that just didn’t work out, which always happens. Every single year, that happens. And then a big challenge for me is not to have too many startups the next year. Steven Butala: Which, I’m getting, with age, a little bit better at. I think. I don’t know. I’ll have to ask our staff. At least, most of them revolve around real estate and Land Academy and House Academy now. They’re not some wild offshoot about buying oil wells or something. Steven Butala: What do you do during this time? Just totally blow the whole thing off and have fun? Jill DeWit: I wish. That’d be great. No, ’cause as you put these things in place, then I follow. I’m here doing my part. You know? I mean … we have different tasks in our companies. And as you lead, and you come up with these new companies and some companies, and there’s pieces of it that fall on me. So I’m just kind of standing by waiting to see what’s coming. I guess that’s it. Steven Butala: To me where we’ve just got a lot of people, really good people, in the right place producing some cool stuff for us. Steven Butala: It makes it a lot easier to buy and sell real estate when you have a marketing team. Steven Butala: Before we get into it, let’s take a question posted by one of our members on thelandinvestors.com online community. It’s free. Jill DeWit: Joe asks, I think there are a fair number of sellers out there would gladly sell their property for a low price or just give the property to you for a promise of future cashflow. Some of them lack the sophistication or time to set up a terms deal. For whatever reason, it would just be easier for them to do it, to let someone else do it. Does anyone ever work with sellers to sell or resell their property on terms, service the debt, and split the proceeds with the seller? If so, what would the contract look like, and what kind of split did you do? Who held the deed? Steven Butala: This is a great question. Every month or so it comes up because we get new members. Like, it seems like we get a flood of new members every month. Steven Butala: Usually at the end of the month. So, and this always comes up. And here’s what Joe’s really asking, or what he’s really saying in my opinion. I don’t have a bunch of dough to outlay to buy land, but I’m getting people, I’m getting mail back. I’m getting people who are interested in selling their property for a good price. Maybe I just give them a little bit of money, and I pay them every month till the property sells, kind of like a seller financed option deal. Steven Butala: And when it sells, I pay them the whole thing off and keep the rest. Here’s what’s, there’s about 40 things that can go wrong with that. But I love the spirit of it. Steven Butala: So here’s the real answer. Find a great real estate deal. In fact, find 500 of them. Go to landinvestors.com. And go to fund me, the menu item there. You don’t have to, you can have 10 cents to your name. As long as you get the mail out, find great deals that are coming in like Joe seems like he’s having. The back end of that is Justin [Sweva] and me and some other people in the group, and we’re happy to fund you. We’re happy to pay the seller. You don’t have to put a dollar in. We’re happy to pay to buy the piece of real estate for 100% of the money and then have you go sell it and then split the proceeds with you 50/50. It’s all on there. So, I love that entrepreneurial spirit. You don’t have to have any money at all to do this. You just have to find good deals. And I’ll preface it with the good deals. They can’t be silly deals. Jill DeWit: I was gonna say, I just had a conversation with one of our members, one of our advanced members last week. And it was about controlling the deal. And it’s just something, too many things that can go wrong. Jill DeWit: What if the guy, who knows. Something crazy happens. He could literally sell it out from under you while you’ve got this whole thing going on. ‘Cause you really don’t know that person that well. There’s something to be said for buying it outright, paying cash for it, controlling the deal. And what I was talking about is kind of talking about info lots. Some of our bigger transactions, info lots and larger properties. And he was even asking about, you know, is there a financing piece to that, or how does it work? And I said, same thing as land. It’s paid for cash. And some of these transactions, most of these transactions, they’re so darn good that I don’t even put it out to sell yet until it’s 99.9% done. Everything’s signed and waiting for it to get to the notary to put their stamp on it kind of thing. Because it’s, you know, going through escrow and some of these are bigger transactions. ‘Cause I don’t want anything to go wrong. Steven Butala: Jill and I are buying a house in Scottsdale for $240,000. This house next door sold for 500. In the last three months. Granted, it was all renovated, and the whole thing. But, you know, what do you want to do on that? Do you want to raise the capital or, in our case, just write the check? We own the property. Is it a little bit more expensive with fees and stuff? Yeah, it’s slightly more expensive, but you control the asset. So let’s say, instead of making a full $250,000 on the thing, we make 230, and it took a month longer. Does it matter? Steven Butala: It doesn’t matter at all. It’s the right thing to do. Jill DeWit: I sleep better too knowing that. I would not sleep well, if I had a bunch of these out there right now. I mean, I understand … I just, the work involved and what could go wrong would keep me up at night. Jill DeWit: Couldn’t do it. Jill DeWit: But I do appreciate them thinking outside the box. Jill DeWit: So I’ll think of outside the box, and think about the safe way to think outside the box. Steven Butala: I can’t express this enough ’cause it just changed. It just changed in the last 60 days. You know, I can’t personally stand when people on the internet or on a show like this say, you know, you don’t need any money to start. I think that is the most schlocky, awful … what it implies is, hit an easy button, and money’s gonna fall out of the ceiling on top of your head. That’s not what I’m saying at all. You have to still run through the whole program, both programs now. Steven Butala: Soon to be three programs. Learn how to find undervalued real estate by sending out mail. And when you land some great deals, and you will, if you just follow the steps in the program, and you don’t have any dough, we are now in a position, because of the other senior members in our group, us, Jill and I are the ring leaders, to fund these transactions for you if they’re great. ‘Cause we make money too. That’s the real reason we started Land Academy to find partners. Partners that source deals and partners that fund deals. And we’re like in the middle putting everybody together. So, you know, pull out the stops on sending mail out. But I will say, they have to be good deals. Steven Butala: We should say that more often, ’cause it hasn’t been going on for a long time. It’s really kind of new. Steven Butala: It was Justin Sweva’s brain child. The person I do the show with on Friday. Steven Butala: Wow. Today’s topic is 2019 planning during the downtime in this holiday season. This is the name of the show. Like I said, this is, you know, I love planning time. Here’s what’s gonna, what I’m planning. And I would encourage you to plan some, do some version of this. I took a look at the real estate we sold in 2018. And the types of real estate we sold and what we did great on and what we didn’t do great on or maybe what we still haven’t … we always have a few properties left over, stubborn properties that just haven’t sold. And so I remove the risk out of that and plan for the mailers. I plan, quite honestly, I plan all of the 2019 mailers out during this time. And I do, I will send out probably 20 to 25,000 letters a month for every other month. So, February, April, and on and on. And that takes care of that. You know, everybody’s constantly asking us, why do you guys have enough time to run Land Academy and run the land business and the whole thing? Because of the planning that I do personally right now. So I took a look at that. And I took a look at the health of Land Academy, because for years, Land Academy was my personal charity, financially. Steven Butala: It’s now standing on its own two feet. So 2019 could be a pivotal year where it actually makes a little money. We’ll see. I don’t know. So I’m planning for that. I’m planning for the content changes that Jill and I have to make. We’re probably gonna add a new podcast show for House Academy. House Academy gets released in the first quarter sometime. I don’t want to put a specific date on it. And then we’ve got live events that we’re planning. Steven Butala: And then I took a look at all that. Usually, I over commit and over schedule, and then I look at what really matters for our members, what really matters for us from a money standpoint, and the long term short term planning. And then I scale, I shave off the stuff that I think is, maybe stuff that we just, I wanted to do maybe, or Jill wanted to do. And it’s just, you know … it’s just not beneficial. Steven Butala: So that’s what I do. If I were somebody, like one of our brand new members or maybe one of our senior members, I would be planning mail, specifically mail. Budgeting for that. And I would be, I would be running through equity planner, which tells you, that’s what it is. It’s equity planning. Planning for how much money you want to make within a certain amount of time. How many deals you want to do. And it backs right into how much mail you have to send out. It actually couldn’t be any easier. 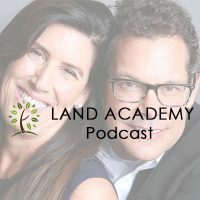 Steven Butala: If you’re a member, and you haven’t been through Land Academy 2.0 yet, it’s right in your dashboard. Go take a look at chapter four, where I talk about equity planner in depth review. That’s what I would spend 2019 on, this downturn, down … I keep saying downturn. Down time planning. What are you planning, Jill? Jill DeWit: Whatever you tell me to do. Steven Butala: Oh come on. As we all know, that’s just not true. Jill DeWit: Well, come on. But it is partially true. Seriously. You set the … you set the tone. You decide what we’re going to launch and what the products are and lay it all out. And then I’m like, okay, check. Okay, check. And then I take it from there. It’s really under your direction. You are the CEO. Steven Butala: That’s just not how it actually ever happens. Jill DeWit: It really is. So I’m just kind of standing by. I sneak in, you know what I do? I sneak in my side projects when it’s, when I can. And I, so that’s, I need to get better at that. That’s on me, that’s not on you. I get, I love what we do. So, you know, every time I plan a side project, it gets pushed aside. Because there’s things that I need to help with and things that I need to do with Land Academy and our land business and our team. All of the whole organization, if you will. So I’m not complaining. It’s reality. And so, but seriously, I’m just kind of, you know … we have a lot of meetings coming up. I know. And I’m gonna sit, and you’re gonna give me my tasks, and I’m gonna take my tasks and divide and then figure out how I want to accomplish them, so. I don’t think there’s anything wrong with that. Why are you looking at me funny? Steven Butala: [inaudible] it’s been another 15 minutes or so listening to The Land Academy Show. Join us next time where we talk about why successful people hide. Jill DeWit: That’s funny. And we answer your questions posted on our online community, landinvestors.com. It’s free. Jill DeWit: So I have been wanting to bring this up this week and I didn’t. So here I am now. If you, it’s the day after Christmas, and if the exact gift you wanted wasn’t under the tree, I can help you. Hey, check out landacademy.com. If you’re not a member and you want to be a member between now and the end of the year, we are doing this at half price. So go check it out. Go to landacademy.com, click on join, and you’ll see it right there. You get 1.0 at half price. You get 2.0 for free. Steven Butala: That’s amazing, actually. Steven Butala: The amount of time that we put all that stuff together, it’s amazing. Jill DeWit: I know. And it’s only good between now and the end of the year. ‘Cause it’s beginning of the year, like you just alluded to. We’re making some changes. We’ve got some things to realign. So we’re gonna close up enrollment for a little bit and get all our ducks in a row, so. Steven Butala: You’re closing enrollment? Steven Butala: We only did that one time before. Steven Butala: A long time ago. Jill DeWit: Yep. We did. Steven Butala: It’s like everybody got to exhale for a minute. Jill DeWit: It was like October a year and a half ago, we closed enrollment for a little bit. Steven Butala: See, I don’t make all the decisions. Jill DeWit: It won’t be as good as it is right now. Steven Butala: I don’t even know any of this stuff. I don’t make all the decisions. Jill DeWit: Got it. Thank you. You’re awesome. So wherever you’re listening or watching, please rate us there. We are Steve and Jill.